No gift bow? No worries! 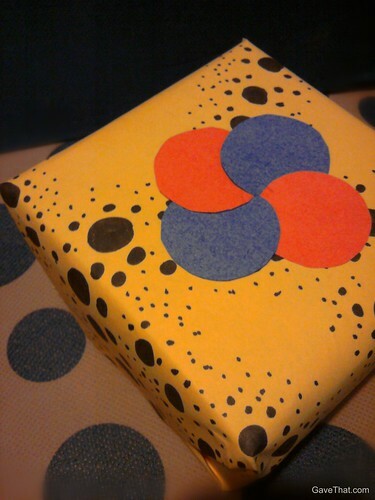 These simple dots cut from paper overlap over one another to form this retro embellishment on gifts. 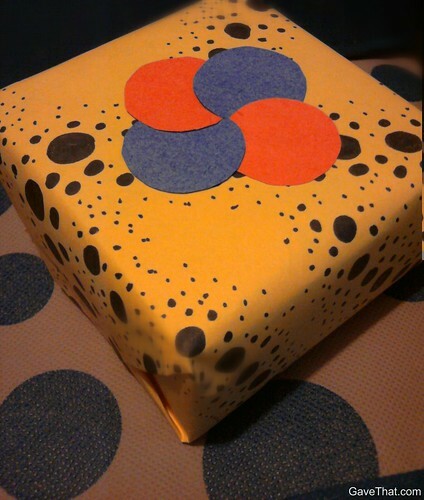 Any dot will do including stickers and ones cut from recycled materials. Here I used a wine cork to trace around and cut the dots out from heavy weight paper. A little glue and that's it.